Forums - NEW SE34I.3 coming soon! Re: NEW SE34I.3 coming soon! May not answer all your questions, but it might help. Somebody should photoshop what the new unit should look like. I've been thinking of upgrading my current system, Adcom GFA-555 amp, Adcom GFP-555 pre-amp and KEF Model 103/3 (4ohm) speakers with KEF Cube, for a few years. I have the matching Adcom CD player and Tuner. Anyways, I really like the system (had it for 25 years), but have the upgrade bug! I have been looking at the SE34I.2 and waiting for details on the SE34i.3. My question is - I like my KEF speakers (92db sensitivity) and would like to keep them for now - but the KEF cube plugs into signal processor inputs on the Adcom pre-amp, using 2 rights & 2 lefts. If I were to purchase the SE34I.x would it still be possible to use the KEF cube with the KEF speakers? "The KEF 103/3 speakers are a 3 way system with a dome tweeter and 6" midrange on the front and a 8" woofer facing down - all on a dedicated stand. The KEF cube eliminates crossover inefficiency losses allowing for extended bass response. The normal speaker measurements are 50hz - 20kHz. The KEF cube allows you to vary the frequency range below 160Hz by about 3 DB." (though their tests showed a closer to 6 DB with the cube extented button activated). Anyone on the forum have experience with these KEF speakers and KEF cube using Decware amps? While the Decware amp would sound very sweet within it's limits, the low sensitivity of the KEFs will enforce those limits at fairly low levels. A Torii III would be more appropriate with the KEFs. If you want to explore the more purist lower power offerings you'll get better results by stepping up to speakers that take full advantage of the first couple watts. The crossovers in the KEF might rob the amp of a lot of power. The 92 decibel rating might not mean that much after the crossovers take their toll. Is there any possibility that you would ever consider trying something with higher efficiency? Ski Bum and RR - Thanks for your replies. Well it was just some wishful thinking on keeping the KEFs. Also, been looking at the MG944 and at the Hoyt-Bedford Model 2s as more efficient "modern" options. Probably will hand down the entire Adcom/Kef system to my son - keep in the family! This upgrade itch can drive you crazy! I can endorse the MG944's wholeheartedly. That Integrated would drive them to insane levels of volume, and lead to a completely life-like musical reproduction. I agree with you. I keep checking the "New" link on the main menu and the "Hi-Res" link on the SE34i.2 product page thinking Steve has placed a picture of the SE34i.3 there. We might just have to wait until March..... . Now that I have discerned the differences and similarities of my SE84CS and my Torii 3.....I can't part with either Amplifier. I mentioned in another thread that I am content with switching Amps on a 3, 5 or 7 week basis as the Spirit moves me. This .3 with EL34's in Triode with Lucid mode..... . I remember hearing the Pentode in Pentode Taboo in Lucid at the Fest in 2005. It made me regret not being part of the beta test Steve sent out on the road with the Taboo (EL84 SV83 based), because it sounded very very good. Steve, the quiet genius that he is, is not one to make idle boasts. If he says the .3 might be the best EL34 based Triode for imaging ever.....I tend to believe him. Well, here's to maybe catching a glimpse prior to March..... .
Also, been looking at the MG944 and at the Hoyt-Bedford Model 2s as more efficient "modern" options. Either one would be a solid choice! OK, Here's a picture of her... just click on the link below. Interesting! Not what I was expecting. Looks beautiful. Thanks! Very nice Steve. Looks stunning! The SE341.2 was a dual mono SE84+. With one power transformer, is this still a dual mono 84+? What are the meters for? Enough questions - I'll just wait for the details. The Two power supplies in the SE34I.2 were heavy overkill. Remember those were designed for the original SE34I that had four output tubes rather than two. Right now, we're still at the same 40 mills per tube as before, so both channels draw 80 mills. The current power supply is 150 mills. So to answer your question, no, it is no longer dual mono. I'm in the final chapter of the voicing on it, and comparing lucid mode with one built as a classic SET just like our Zen Amp (SE84C+). It's looking like getting lucid mode as good as it was on the Taboo may take another year or even two (like it did for the Taboo). Triode vs. Pentode is just too much change to have the same results. Don't get me wrong, it's impressive in it's current state, but in a serious shoot out between the two designs, The classic Decware SET may actually have the edge in the imaging department since it's more accurately rendering the intent of the recordings. Given that and the fact that the amp could now be bridged mono I'm likely going to abandon the unbridgeable lucid mode on this design. After all, we still make the Taboo. 1) When the amp is ready to play music after powering on. But mainly to let you see at a glance how close your tubes are matching and how close your amp is to max power. ...no the tubes do not have to match, especially if you have the amp configured with dual volume controls... but matched tubes mean that each channel will clip at the same point - not one side sooner than the other... and closely matched tubes preserve pristine imaging. Genius; pure genius; and once again Steve has surpassed himself. It seems that there is plenty of room on the chassis for tube regulation. Yes, but so far just one rectifier sighted. Steve is really an artistic genius! I just love the look of those meters. Gives the whole amp some sort of nostalgic look and feel. And I also admire the functional use of those meters. This turns the amp into a tube tester for the output tubes. I do hope that Steve will incorporate those meters for the other versions of his tube amps in the future! Beautiful design, indeed. Ok, it's not going to be a Lucid Mode-capable design, but I wonder how does it compare to the SE34i.2+ it's replacing in overall performance? Any comparisons made already? If they sound better than the SE34i.2+, these are going to make killer triode monoblocks! Very beautiful Steve. Thanks for posting the picture. The functional use of the meters is sweet. I look forward to its release. In light of NOS regulation tubes becoming harder to obtain: You brilliantly use tube voltage regulation designed to filter instead of regulate in the Torii 3 and Mini. If tube regs' dry up, do you plan to retro-fit these Amps with a form of solid state filtering (a mini power plant if you will/based on a solid state voltage regulator) - or - can a plug in be created, such as what a solid state rectifier plug in does in lieu of a tube rectifier? Well, while they may dry up for me by becoming unavailable in quantity but I can't image that they would ever become unavailable in singles from places like ebay. That said, in a worse case scenario I would likely replace the VR tube with a neon lamp. Also, I have the amplifier on the site now. Below are ten one time coupon codes that forum members can use (first come first serve basis) to get $25.00 off when your order. Note: If a code does not work it means someone else has already used it. I have to say I feel really good about this amplifier. It's better than it's ever been and we look forward to the next 12 years! The release is here! Sweet! She is a beauty (that Rachael)! Ms. Rachael? I do believe you're trying to seduce me?! That is really beautiful Steve. But dang, I actually cannot even make an excuse to order it. Add to Cart is not working for this amp - can't order. I thought that it would be using the 12AU7? I guess the 6N1P was settled on instead. I like the product page a lot, and showing the amp in its different configurations is extremely helpful. Now go do that to the other amp pages. Add to Cart may have been repaired. At least it's working for me now, I played around with it and it functioned as expected (unfortunately I'm not buying an amp, but tested the buttons). Reminds me of one of my favorite Firesign Theater concepts: "Everything you know is wrong." Before this thing was introduced I was leaning towards a set of SE84ZSM monoblocks but now I am not so sure. I would not be comfortable with using this "Rachel" as a power amp wide open with no volume control. Right now my Mini Torii connected to the CSP2+. When the volume on the MINI is wide open I hear some noise that is not audible when the volume controls are lower; thus the ability to ride the gain between preamp and amp is necessary not only for greater versatility but to avoid any noise. Other than 6 watts what are the differences in sound/performance between the Rachel and the Zen monoblocks? My guess, based on the experience I had with the Select and the Integrated.2, is that the Monoblocks will be more brutally honest as far as detail and specificity of stage and image, and the new Integrated will be just a hair more forgiving (and what some might call "musical"). I'm a little disappointed with no 12au7 as I have a bunch of nice E80CC here that made my mini-Torii shine. Oh well. I might consider using amp version with zodiac gold still. From this, I can only miss the Triode sound and maybe the meters, as everything else, to me, is irrelevant: Looks are not that far from the Mini; the extra power is not required in my case; I do need the Pre-Outs and a 2nd pair of inputs come in handy; a tighter bass is important in my listening taste. In addition, I was able to squeeze-in the last discount coupon of $200.00 for the Mini-Torii. Not a deal breaker, but helps. You can't lose really. If it were me, I'd go with the Integrated, simply because I think the "noise" thing is a non-issue and I know how great this machine can sound. 6 watts triode? Wow. But the Mini may serve your purposes as well, and your order is already in the pipeline. The wait is going to be agonizing. Best of luck, and I know you'll keep us posted of how it sounds when your system starts to come together. Just curious, on the original pics of "Rachael", I noticed the inputs were gold plated. The pictures of the amp displaying with each configuration show silver plated inputs. Does this make a difference? Man, this is such a nice looking amp! The color rendition on your monitor might differ from mine. I see them as gold. I think you'll find them gold, though it hardly makes much difference. On the options photos the amps seem black and white more than color, but the big image that Steve provided earlier in the thread clearly shows gold to me. Well done, Lon... you're basically correct. The simple answer to this no doubt popular question is going to be that Rachael is slightly warmer with a boat load more power. I knew this happen.... those pictures are in black and white (with a slight sepia tone). Guess I WILL have to re-shoot some more color pictures! Yes, Lon, I sure will be counting on you guys to assist me further through the fine-tunning/break-in phase, thanks. Regarding the Mini's voltage regulation feature, I want to go along with Steve on that one. He was pretty emphatic about it, for some reason. I also don't enjoy good/stable power supply through the mains, locally. My only personal reference in tube amplification has been my ex VTL 225 Deluxe monoblocks (typical push-pull), using EL34 tubes. Mid and highs were gorgeous. Bass, although strong, was not tight enough, to my taste. I don't have references for a SET nor a SEP, other than what's in the literature, and that's why I was originally inclined for the integrated. So eventually I chose the Mini based on specs and user's descriptions, but most of all by Steve's suggestion. Iwonder if his advice would have been the same today? In any event, as you say, I can't go wrong with either, and the Mini's features and specs are very complete. According to my calculations, my Mini Torii order's lead time is exactly 8 weeks today, out of the original 12! With regard to the gain - someone mentioned the mini torii turned all the way up vs this amp so I would like to explain the difference. Hi Steve! Is this Mini Torii's hyper-gain characteristic, which is aimed at assisting weak signal sources, like ipods, a drawback for someone normally using 2 to 2.25 Vs ouput sources? I mean, having only half of the volume dial to adjust may become too sensitive maybe? Can we assume the same amp silence on 94 dBs speakers with a CD player on a Mini Torii if volume is set within the first dial half (i.e., before clipping)? Thanks! Hey Steve: Good answer to that question about gain. What is the wait time for "Rachel?" Fire: My MINI is not too sensitive and I use a 2.5 volt CD source. My MINI is quiet at half volume with my 94 db speakers. I am truly glad that you have decided to use the ECC88 family of tubes for the new amp. I play with them alot and part of the fun of owning a tube amp is the tube rolling. That PLUS the Hazen Grid mod for EL34s makes this a killer amp in the sonics department for the mid-range. BTW, I noticed that you have offered the Shuguang Treasures as an upgrade option. I am sure that you would have experimented with various types of EL34s during the design phase. I hope that you can share your tube-rolling experience on the various EL34s which you have tried whilst designing this new amp. Steve - I know you have numerous configurations available, but I was really hoping for a headphone option (option #4 with headphone jack for planar phones located where the center control is). Is this possible? If it is not, I've seen you mention an adaptor you could make that would fit on the speaker terminals. Could you post a picture of what the adaptor looks like? By the way, what is the switch for behind the center control? The switch behind the volume control is probably a bias switch. Riviera: Thanks for the confirmation. Sound-wise, have you heard/noticed big differences between, say, your Mini Torii and a Zen Triode? I'm sure these exist, just want to know if they are significant. I'm trying to evaluate the sonic character differences between the new amp and the Mini-Torii, to make sure I'm making the right choice. Thanks! I just realized my earlier question is almost impossible to answer, I apologize. First of all, pentodes (beam) and triode tubes can sound different by their own nature/design. I understand there's no 'better than' here, as it depends on circuit and transformer design. Also, how they sound is a very subjective preference. 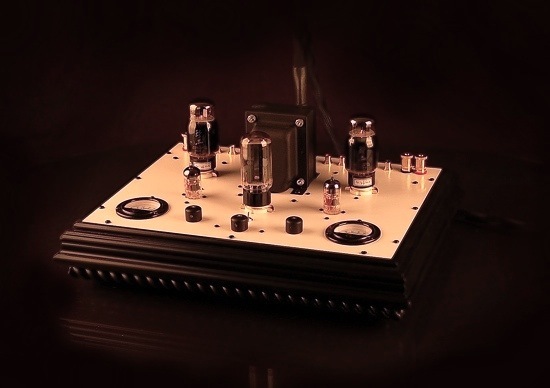 Purists would hold that a DH-SET with a (directly heated) natural Triode tube and absolutely no feedback (pure class A), with the simplest circuit possible and huge transformers, are the ultimate in sound. These are also very expensive, if done right! 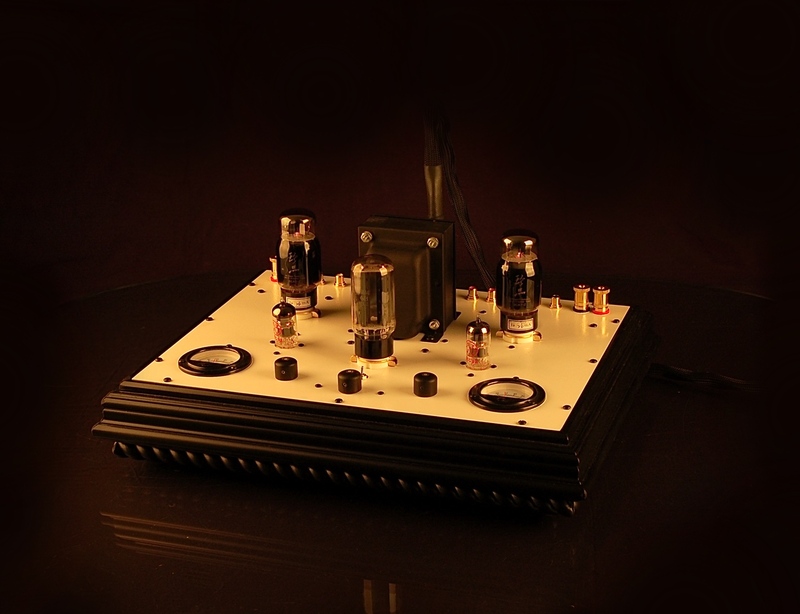 On the other hand, there are many fans of PP topologies using Triode output tubes like the EL34. There are also the 300b, 2A3, 800 tube SET proponents, etc. It goes to show the essentially subjective nature of the beast. In any event, anybody with actual owning experience with Decware's SE34i and SE84 amps may have a better clue and may want to share their opinions. Thanks! Soth, it now appears that the Integrated will retain the 6N1P/6922 tube type as it's input tube. . . .